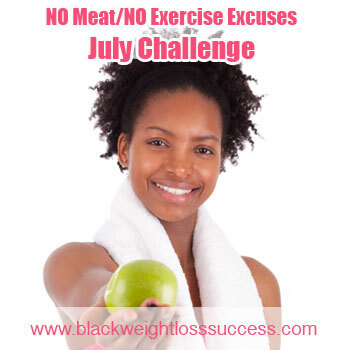 Day 5 of our No Meat/No Exercise Excuses Challenge and everyone is asking me about Protein!! I know that some people think that you won’t get enough protein on a vegan or vegetarian diet, but that’s not true if you eat the right foods. What you want to do is educate yourself about the protein content of plant foods. Many are full of protein and natural aminos. The fact is, many Americans may be eating more protein than they need. Also, much of that protein is coupled with a lot of fat, salt and calories that may need to be cut back. Fatty cuts of meat, salty meats and fried meats are staples in the diets of many Americans. “How Much Protein Is Enough? – Adults in the U.S. are encouraged [by the USDA]to get 10% to 35% of their day’s calories from protein foods. That’s about 46 grams of protein for women, and 56 grams of protein for men. It’s not hard to get this amount if you eat two to three servings of protein-rich foods a day, according to the CDC. “How much protein do we need? The RDA recommends that we take in 0.8 grams of protein for every kilogram that we weigh (or about 0.36 grams of protein per pound that we weigh) 1. This recommendation includes a generous safety factor for most people. When we make a few adjustments to account for some plant proteins being digested somewhat differently from animal proteins and for the amino acid mix in some plant proteins, we arrive at a level of 0.9 gram of protein per kilogram body weight (0.41 grams per pound). If we do a few calculations we see that the protein recommendation for vegans amounts to close to 10% of calories coming from protein. [For example, a vegan male weighing 174 pounds could have a calorie requirement of 2,600 calories. His protein needs are calculated as 174 pounds x 0.41 g/pound = 71 grams of protein. 71 grams of protein x 4 calories/gram of protein = 284 calories from protein. 284 divided by 2,600 calories = 10.9% of calories from protein.] If we look at what vegans are eating, we find that, typically, between 10-12% of calories come from protein 3. This contrasts with the protein intake of non-vegetarians, which is close to 14-18% of calories. To make the right choice you have to do your own research and listen to your body. I believe that you can get enough protein from vegetable/plant sources. I suggest you look to meat substitutes, dark leafy greens, vegetables of all kinds, fruits, nuts and whole grains for protein as you strive to go meatless this month. Do your own research online and use calorie counters like Calorie King to look up the protein content of what you are eating. I would also note 2 other protein rich foods that many vegetarians (ovo/lacto vegetarians) eat that are protein rich…Dairy and Eggs. You can eat these in place of flesh meats if you so choose. It’s all about options. So do, some chose not to.